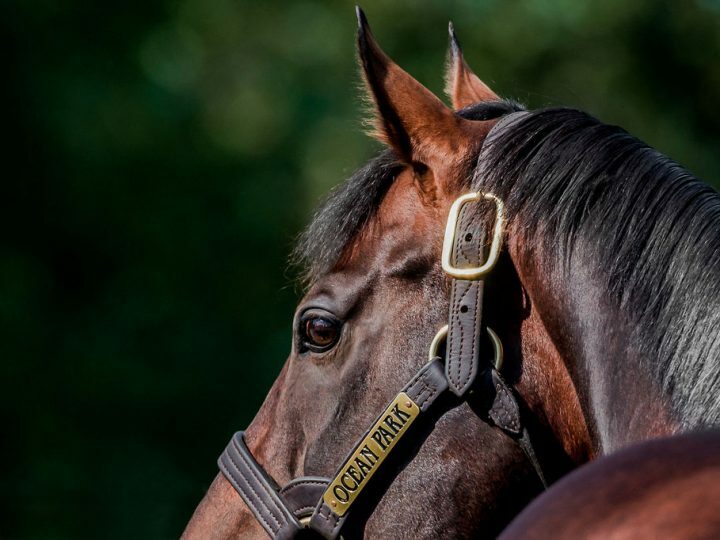 Ocean Park is on track to become one of New Zealand’s most successful stallions. 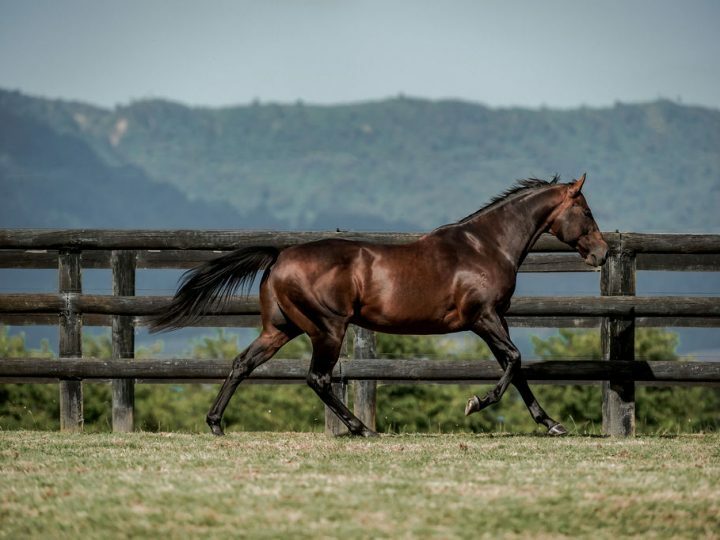 The former New Zealand Horse of the Year has been continuously producing winners and Stakes performers from the moment his progeny hit tracks across Australasia and Asia. 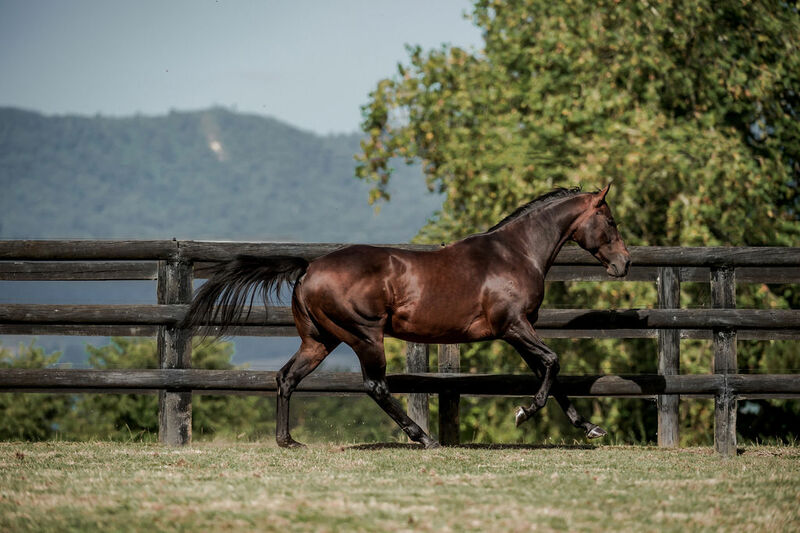 Earning the prestigious accolade of being the champion New Zealand-based Australian Second Season Sire for the 2017-18 season, Ocean Park is the first New Zealand stallion to achieve a top-five placing on this premiership over a nine-year period. 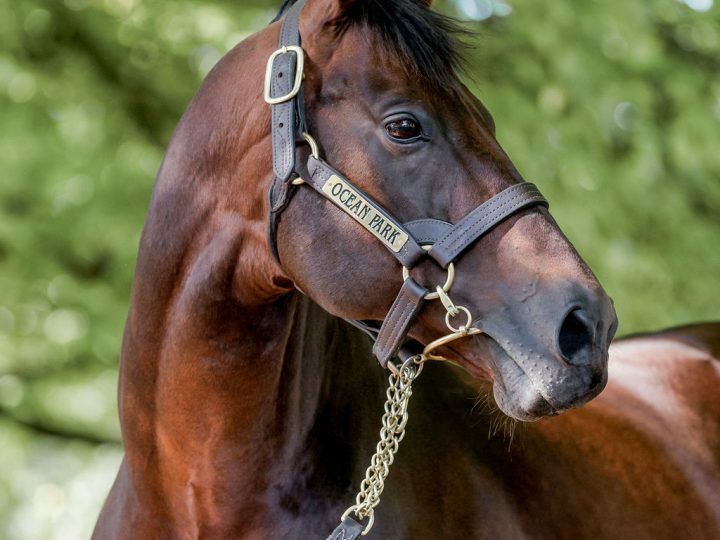 And when comparing sire performance between Ocean Park and champion Waikato Stud sire Savabeel, at the same stage in their careers, Ocean Park has sired more winners from less runners. Ocean Park has sired 11 Stakes horses so far, with his progeny winning more than $6 million to date. Notable winners include Listed WATC Placid Ark Stakes winner Ocean Jewel. Group One performers include Arrogant, second in the Group 1 Rosehill Guineas and Group 2 Waikato Guineas; Another Dollar, second in the Group 1 Queensland Oaks; Mongolianconqueror, second in the Group 1 New Zealand Derby; and Rondinella, third in the Group 1 Tancred Stakes and Group 1 New Zealand Stakes. 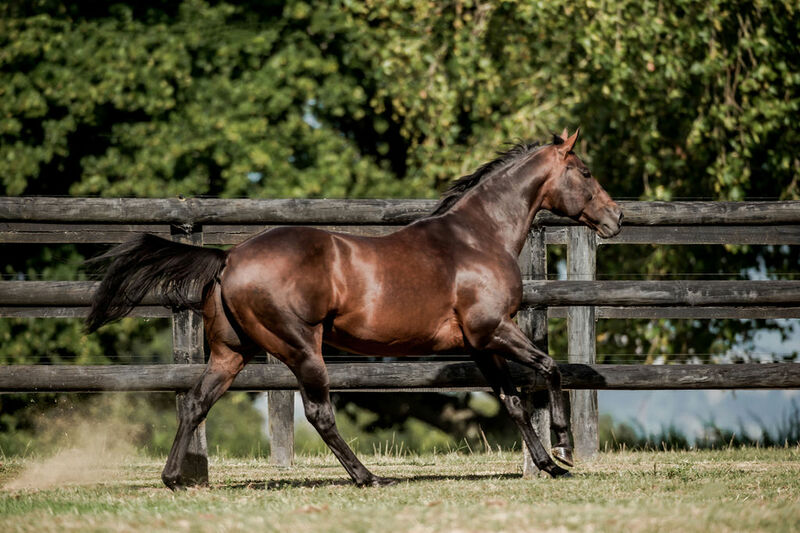 He has sired winners in five different countries across the globe. 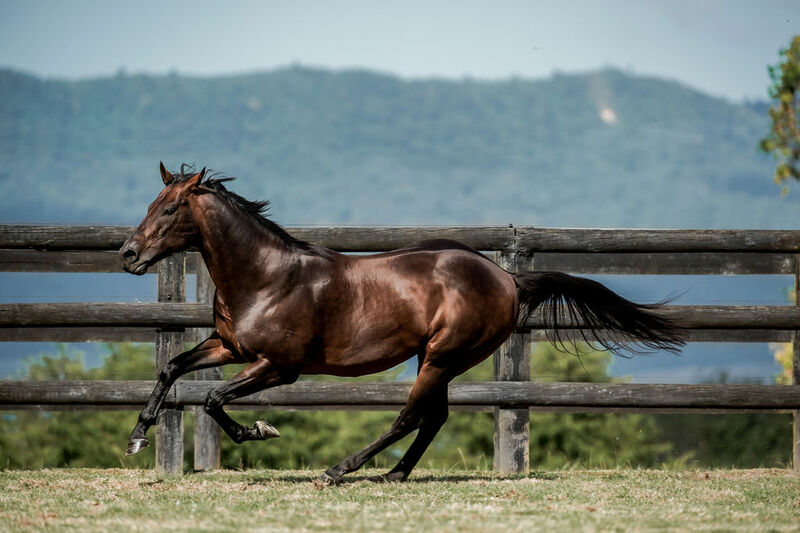 His winners and Stakes performers race over a variety of distances ranging from 1000m to 2400m, and his progeny are proving to deliver even stronger results as they reach maturation. 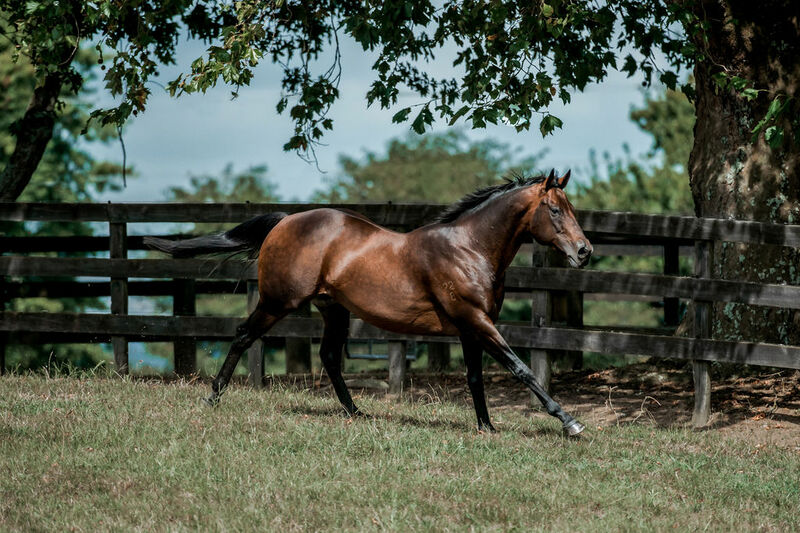 At the 2019 Karaka Yearling Sale, his Book 1 yearlings sold for up to $220,000, producing an average price of $90,000. 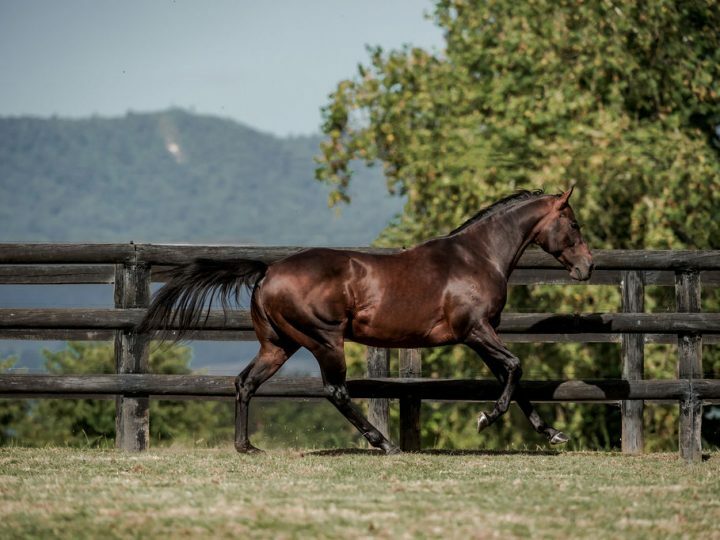 Some of his highest-priced yearlings ever sold have been the most successful racehorses he has produced to date; these horses include Another Dollar, Ocean’s Fourteen, Seaway and Arrogant. 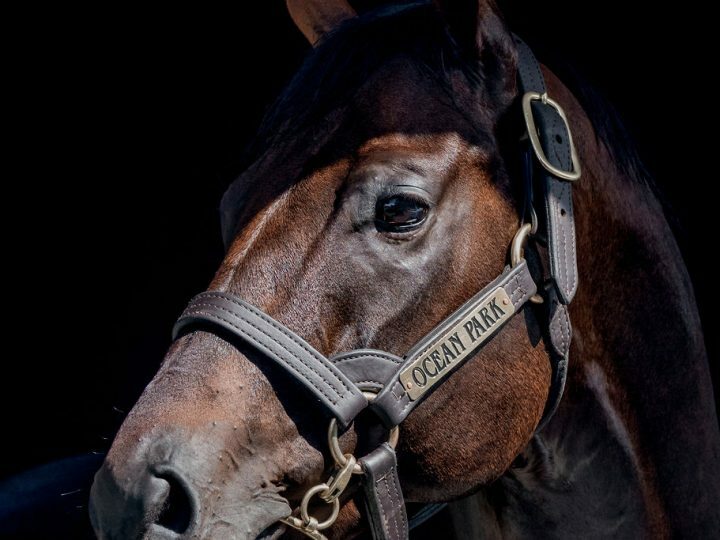 Ocean Park is by champion sire Thorn Park and is out of the well-related Zabeel mare Sayyida, who was awarded Broodmare of the Year in New Zealand in the 2012-13 racing season. 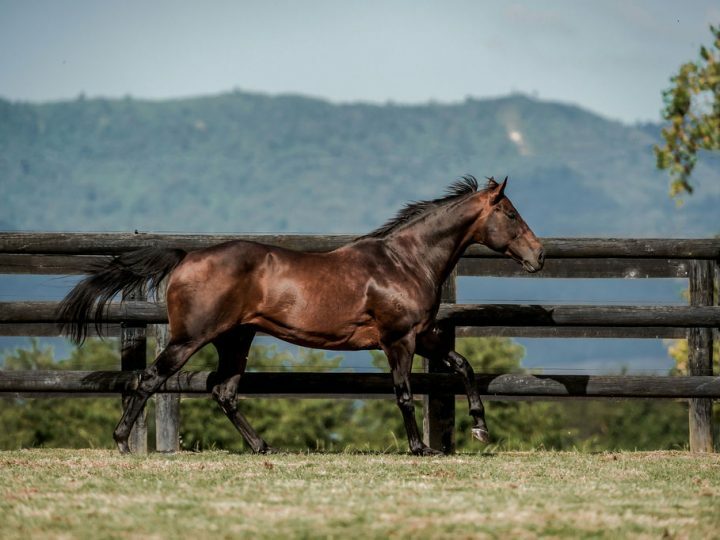 Ocean Park’s half-sister Ruqqaya has produced dual Group 1 winner Grunt – winner of the Group 1 VRC Australian Guineas and Group 1 Makybe Diva Stakes in 2018 – and Addison, who was Stakes-placed in Australia in 2018. 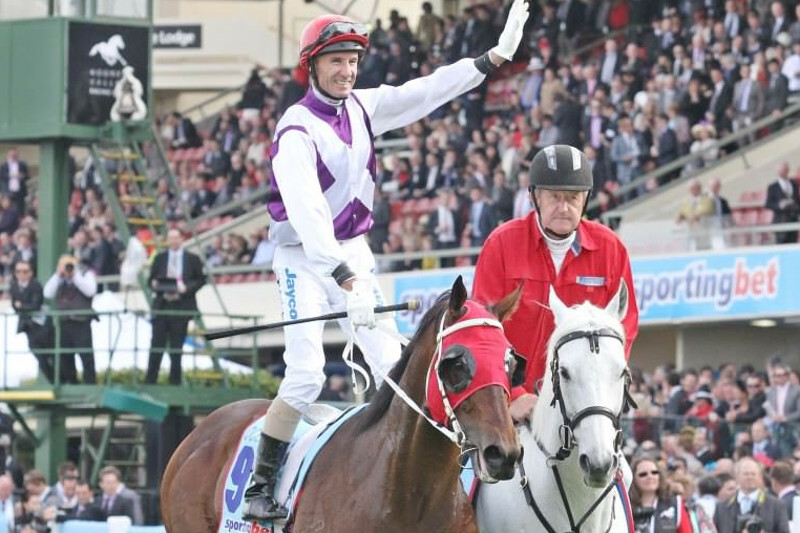 Grunt has now been retired to stand at stud in Australia. Voted Champion Middle Distance Horse in both New Zealand and Australia in 2012-13, Ocean Park performed at the very highest level, winning five Group One races and more than $3 million in prize money. 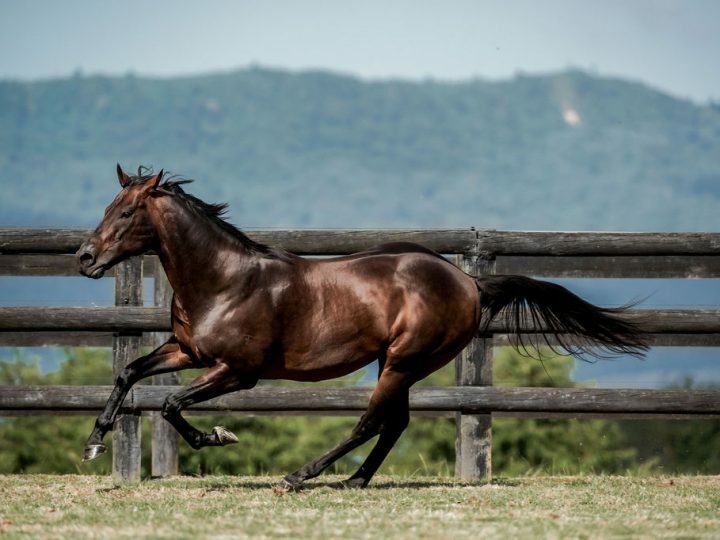 As a mid-season three-year-old, Ocean Park won the Group 3 Wellington Stakes before his first Australian preparation produced a close second in the Group 1 Rosehill Guineas. 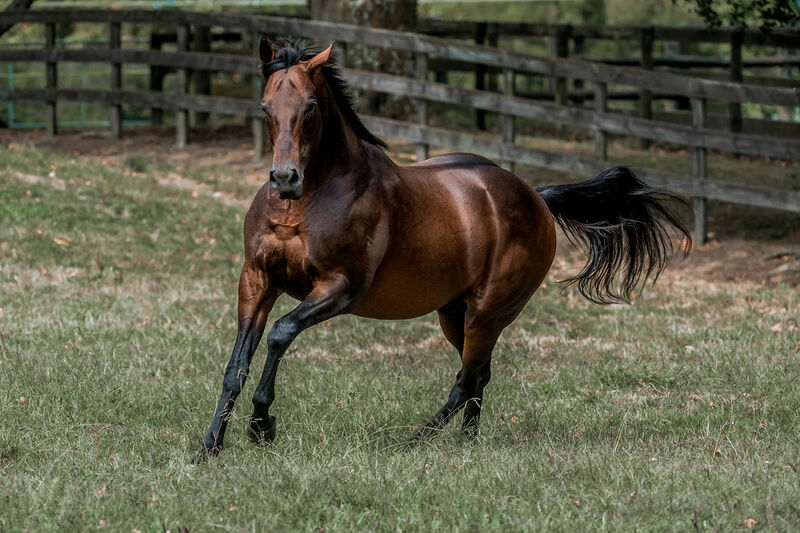 He completed the Group 1 Underwood Stakes-Caulfield Stakes-Cox Plate treble as a four-year-old – emulating performances only champions Ajax, Bonecrusher, Almaarad, Northerly and So You Think had achieved in the previous 80 years of Australian racing. When he won the Group 1 Cox Plate at Moonee Valley, he defeated 11 Group One winners, including track champions All Too Hard, Pierro, Ethiopia, Shoot Out, Green Moon and More Joyous. 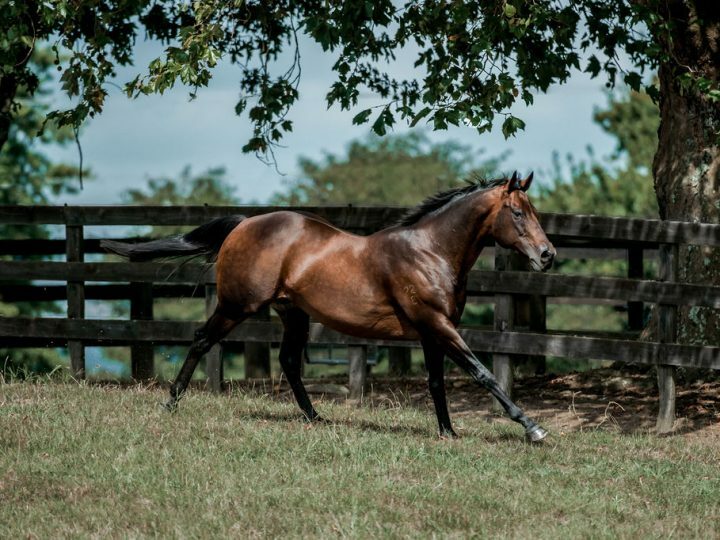 As a four-year-old, he also won the Group 1 Hawke’s Bay Makfi Challenge Stakes prior to his famous Australian treble, and the Group 1 ARC Lindauer New Zealand Stakes at his penultimate career start. OCEAN PARK (c. by Thorn Park). Subject horse. CRITIC (Centaine). 9 wins-2 at 2-from 900m to 1600m, NZ$217,375, Otaki Maori RC WFA S., Gr.1, Southland RC New Zealand Bloodstock Air Freight S., L, Otago RC South Island 3YO Championship Final, L, Rotorua S., L, Avondale JC New Zealand Bloodstock 2YO H., ARC Waste Management P., Jacobsen Headstones H., WRC Douro Cup, 2d BOP RC Japan-New Zealand International Trophy, Gr.2, Cambridge JC Travis S., Gr.2, Ashburton RC Inglewood S., L, Counties RC Franklin Builders H., 3d Egmont RC Fayette Park S., Gr.3, CJC Warstep S., L, Avondale JC Auckland Owners Cup, 4th ARC Easter H., Gr.1, Avondale JC 2YO Fillies S., L, WRC Anniversary H., L. Producer. SUPER JOCKEY (Sandtrap). 5 wins at 1200m, NZ$12,500, HK$6,153,750, K$392,000,000, 1,688,200Dhs in NZ, HK and Korea, Seoul Korea Sprint, L, Hawkes Bay HB Master Plumbers H., HKJC Citibank Global Banking H., Berlin H., Manawatu Challenge Trophy H., 2d Meydan Dubai Golden Shaheen, Gr.1, HKJC Premier Bowl H., L, National Day Cup, L, Friendship Bridge H., Amah Rock H., Surrey H., Audemars Piguet H., 3d HKJC National Day Cup, L, Sunflower H.
THORN PARK 9 wins-2 at 2-to 1500m, A$1,535,725, QTC Stradbroke H., Gr.1, AJC Hobartville S., Gr.2, STC Phar Lap S., Gr.2, Premiere S., Gr.2, BTC Cup, Gr.2, MRC Moonga S., Gr.3, STC Member for a Day H., Club Seven Hills 2YO H., Medina Serviced Apartments 2YO H., 2d AJC Up & Coming S., Gr.2, Expressway S., Gr.2, 3d VRC Australian Guineas, Gr.1, Emirates Classic S., Gr.2, 4th BTC Doomben Ten Thousand S., Gr.1, MRC Futurity S., Gr.1. 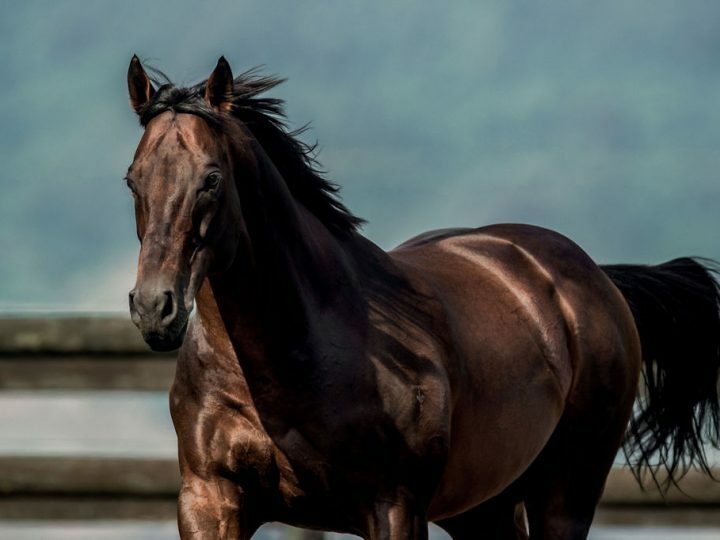 He entered stud in 2004. 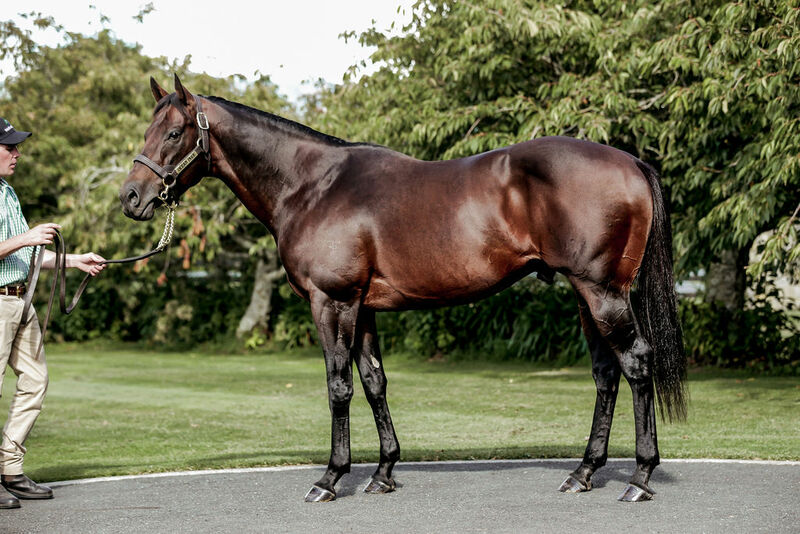 Champion NZ Sire in 2010-11, second in 2011-12. 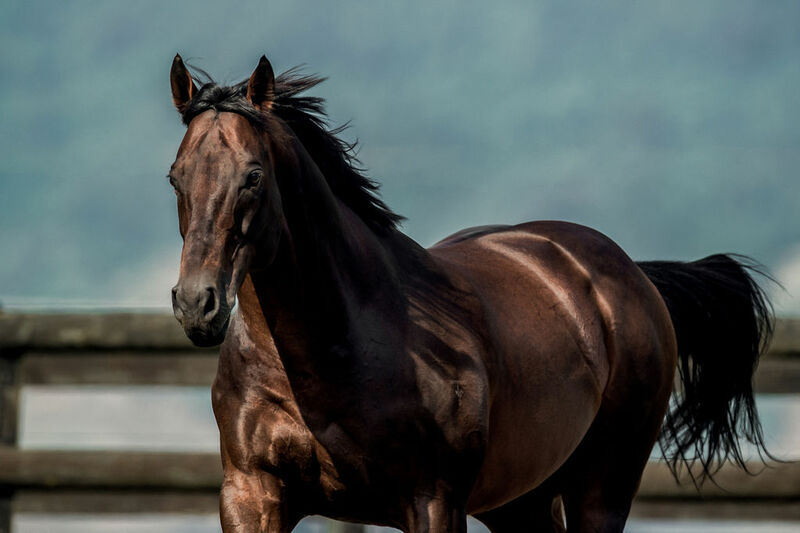 Leading NZ Sire (AEI) in 2010-11. Leading NZ Sire of 3YOs in 2010-11. 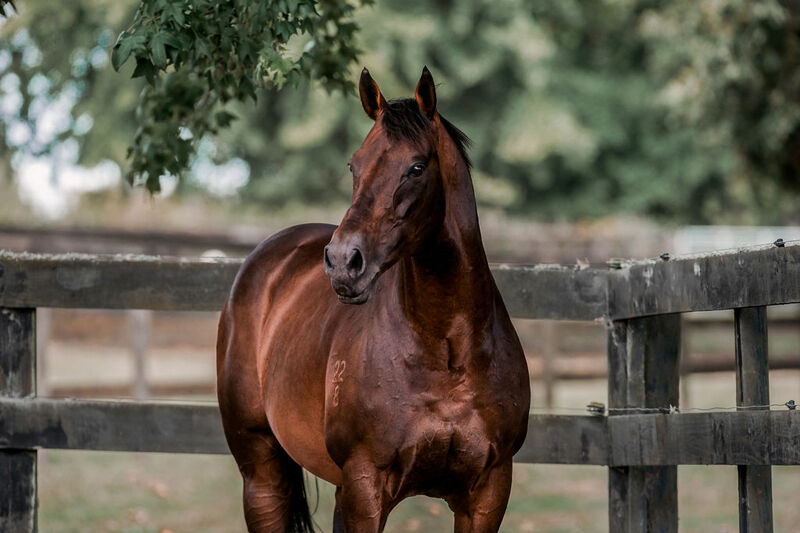 Sire of 435 progeny to race, 311 winners (71.0%), earnings of over $43 million, 29 stakes winners, 21 stakes placegetters, inc.
JIMMY CHOUX (07c, Centaine, Wild Rampage). Horse of the Year in NZ in 2010-11. Champion 3YO in NZ in 2010-11. 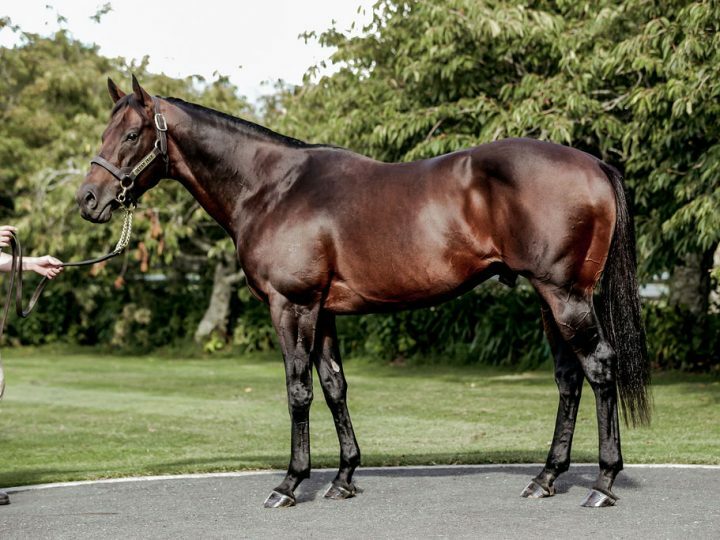 Champion Middle Distance Horse in NZ in 2011-12.12 wins-3 at 2-from 800m to 2400m, NZ$2,576,050, A$807,500, New Zealand Derby, Gr.1, Hawkes Bay Spring Classic, Gr.1, ATC Rosehill Guineas, Gr.1, Hawkes Bay Windsor Park P., Gr.1, New Zealand Two Thousand Guineas, Gr.1, ARC Great Northern Guineas, Gr.2, WRC Wakefield Challenge S., Gr.2, Hawke's Bay Guineas, Gr.2, Wellington S., Gr.3, Waikato Guineas, Gr.3, WRC Trentham Gardens 2YO H., Levin RC Formpro.co.nz 2YO H., 2d MVRC WS Cox P., Gr.1, Hawkes Bay Makfi Challenge S., Gr.1, Waikato RC Star Way S., L, Wanganui Guineas, L, 3d ARC Diamond S., Gr.1, Manawatu Sires' Produce S., Gr.1, 4th VRC Emirates S., Gr.1. VEYRON (05g, Centro, Sir Tristram). 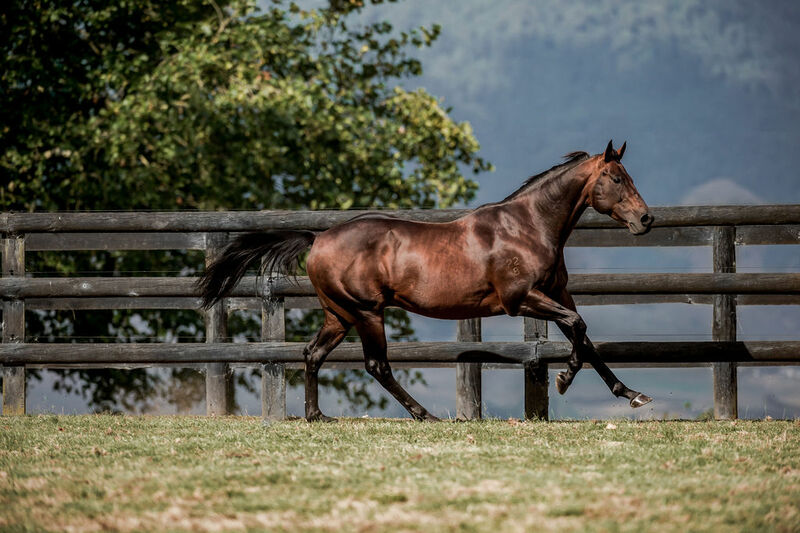 15 wins from 1200m to 2000m, NZ$970,875, A$145,700, ARC Easter H., Gr.1-twice, Zabeel Classic, Gr.1, Waikato Draught Sprint, Gr.1, Otaki Maori RC WFA S., Gr.1, ATC Warwick S., Gr.2, ARC Eagle Technology S., Gr.3, Waikato RC White Bros Panelworks & Truck Services H., ARC New Zealand Herald H., Cathay Pacific Airways H., Sophos Computer Security H., Bach Espresso H., Congratulations Sir Peter Leitch H., Te Aroha JC Wealleans Groundspread H., 2d ARC Zabeel Classic, Gr.1, New Zealand S., Gr.1-twice, Otaki Maori RC WFA S., Gr.1, ARC Eagle Technology S., Gr.3, BOP RC Tauranga S., Gr.3, Cablecorson Dental H., 3d ATC George Main S., Gr.1, Rotorua RC Lion Red P., L, 4th BOP RC Tauranga S., Gr.2, Waikato RC Sprint H., L.
OCEAN PARK (08c, Zabeel, Pompeii Court). Horse of the Year in NZ in 2012-13. 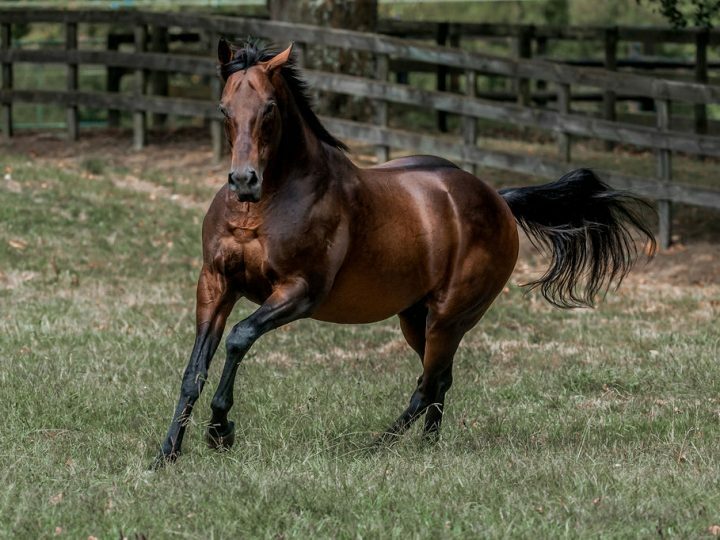 Champion Middle Distance Horse in AUS & NZ in 2012-13.8 wins from 1200m to 2050m, NZ$343,925, A$2,529,000, MVRC WS Cox P., Gr.1, ARC New Zealand S., Gr.1, MRC Underwood S., Gr.1, Caulfield S., Gr.1, Hawkes Bay Makfi Challenge S., Gr.1, Wellington S., Gr.3, ARC Trevor Eagle Memorial 3YO H., 2d ATC Rosehill Guineas, Gr.1, ARC Great Northen Guineas, Gr.2, Waikato Guineas, Gr.3, 3d VRC LKS Mackinnon S., Gr.1, 4th Otaki Maori RC WFA S., Gr.1. SUAVITO (10f, High Chaparral, Kingmambo). 8 wins from 1200m to 2000m, A$1,303,550, MRC Futurity S., Gr.1, CF Orr S., Gr.1, VRC Matriarch S., Gr.2, Blamey S., Gr.2, MVRC Tesio S., Gr.3, MRC Sunrise Cup, Catanach's Jewellers P., 2d VRC Hilton Hotels & Resorts S., L, MVRC Alexandra S., L, MRC Dalziel Racing Tile Importer H., 3d MRC Futurity S., Gr.1, VRC AV Kewney S., Gr.2, MRC Ladies Day Vase, Gr.3, Procal Dairies H.
NORZITA (09f, Quest for Fame, Marauding). 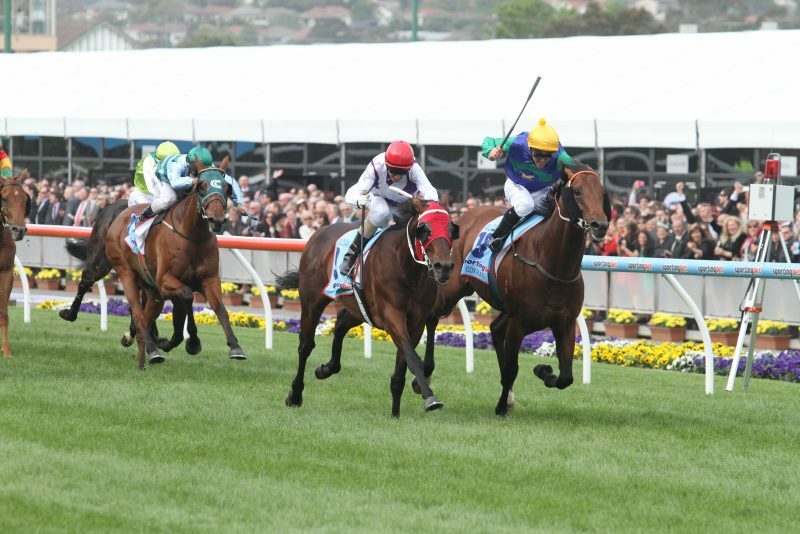 Champion 3YO Filly in Australia in 2012-13.4 wins-1 at 2-from 1200m to 2000m, A$978,400, ATC Flight S., Gr.1, Vinery Stud S., Gr.1, MVRC Typhoon Tracy S., L, ATC Woolworths 2YO H., 2d VRC AV Kewney S., Gr.2, ATC Tea Rose S., Gr.2, TVN Jockeys Trust H., 3d ATC Doncaster H., Gr.1, Coolmore Classic, Gr.1, Show County H., Gr.3. RYAN MARK (10g, Kingdom Bay, Shy Rambler). 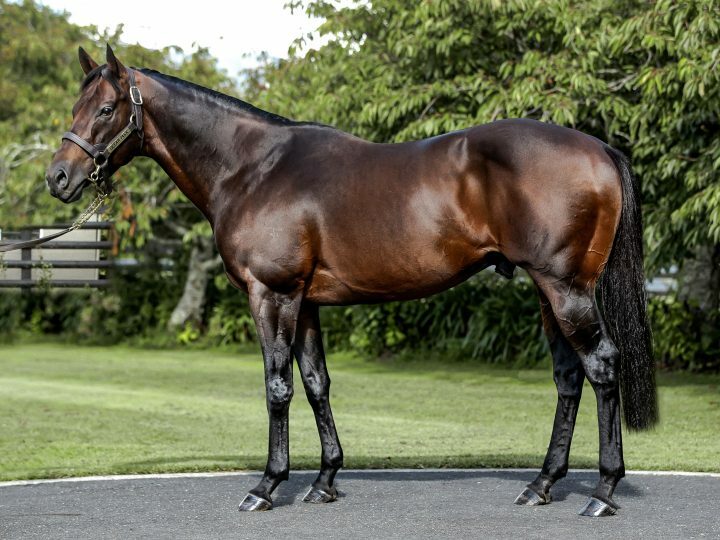 8 wins at 1200m, 1400m, NZ$352,135, ARC Railway S., Gr.1, Rotorua RC Arawa S., Gr.3, Waikato RC Sprint H., L, Hawkes Bay The Desert Gold Club H., Swiss Ace Sprint H., 2d Hawkes Bay Makfi Challenge S., Gr.1, ARC Concorde H., Gr.3, Waikato RC Sprint H., L, Hawkes Bay LI Redshaw Memorial H., 3d ARC Concorde H., Gr.3, Hawkes Bay GR Kelt Memorial H., Gr.3. THE PARTY STAND (06f, Royal Academy, Red Anchor). 6 wins from 1200m to 2000m, NZ$179,660, ARC New Zealand S., Gr.1, Matamata RC Stanley Group S., L, 3d Waikato RC Greene Bros Electrical Equipment Service H., 4th ARC Easter H., Gr.1. CENTENNIAL PARK (05g, Last Tycoon, Jade Hunter). 8 wins-1 at 2-to 1400m, A$1,018,250, STC Expressway S., Gr.2, VRC AAMI Business Insurance S., Gr.3, March S., L, STC Darby Munro H., L, AJC Galilee 2YO H., STC Franklins Supermarkets H., Group One Club H., Dooleys H., 2d ATC Chipping Norton S., Gr.1, Expressway S., Gr.2, STC Shannon S., Gr.2-twice, Ajax S., Gr.2, ATC Missile S., Gr.3, STC Starlight S., L, AJC Randwick 2YO H., 3d ATC Apollo S., Gr.2, Expressway S., Gr.2, VRC AAMI Business Insurance S., Gr.3, Canberra RC National Sprint H., L, 4th ATC Theo Marks H., Gr.2, STC Expressway S., Gr.2, Ming Dynasty H., L.
SACRED PARK - JOYFUL PARK (H.K.) (10g, Danske, Fiesta Star). 3 wins-1 at 2-to 1500m, NZ$111,450, HK$101,200, Wellington Guineas, Gr.2, ARC Bonecrusher S., Gr.3, Waikato RC Crombie Lockwood 2YO H., 3d HKJC Yi Tung Shan H.
AMARULA (12g, Black Minnaloushe, Paris Opera). 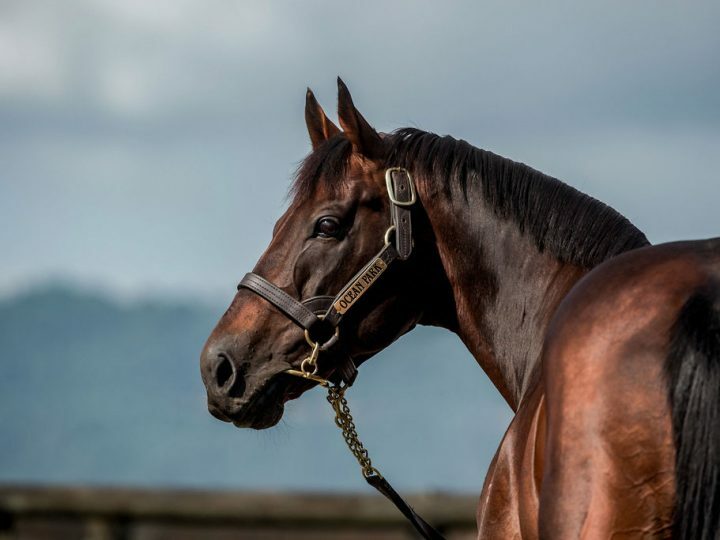 10 wins-2 at 2-from 1000m to 1600m to 2018-19, NZ$307,980, Hawke's Bay Guineas, Gr.2, Hawkes Bay LI Redshaw Memorial H., Livamol Autumn S., Waikato RC Skycity Hamilton H., NRM H., Whangarei RC Waipu Cup, 2d Waikato RC James & Annie Sarten Memorial S., Gr.2, WRC Thompson H., Gr.3, Whangarei RC New Zealand Bloodstock Finance Sprint H., Waikato RC Aber Holdings at Te Rapa H., Seafood Bazaar H., Whangarei RC Bream Bay Design H., 3d Hawkes Bay GR Kelt Memorial H., Gr.3, Waikato RC SVS Veterinary Supplies H., 4th BOP RC Tauranga S., Gr.2-twice, Hawkes Bay Finance Sprint H., L.
LA ETOILE (05f, Deputy Governor, Grosvenor). 5 wins at 1400m, 1600m, NZ$152,212, A$76,000, ARC Rich Hill Mile, Gr.2, Hawkes Bay Te Runga Stud H., Manawatu RC Hong Kong Jockey Club 3YO Trophy, Levin RC Greyhound Racing NZ H., 2d BRC Spear Chief H., L, Gold Coast Bracelet, L, Waikato RC Rich Hill Stud H., 3d Queensland Guineas, Gr.2, Rotorua S., L, Waikato RC Credit Union North H., 4th New Zealand One Thousand Guineas, Gr.1, BTC Doomben Roses, Gr.3, Qld Tatt's RC Centenary Classic Mile, L.
TE AKAU ROSE (06f, Straussbrook, Adios II). 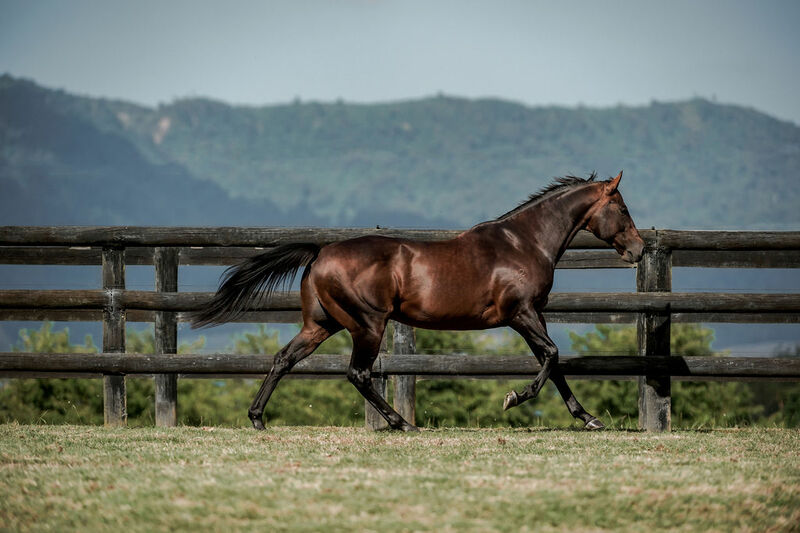 3 wins-2 at 2-at 1200m, NZ$131,335, Matamata Breeders' S., Gr.2, 2d Taranaki 2YO Classic, Gr.3, CJC Canterbury Belle S., L, Wanganui JC Fillies' S., L, 3d Gore Guineas, L.
TE AKAU COUP (05f, Gone West, Sadler's Wells). 2 wins at 2, NZ$84,750, Matamata Breeders' S., Gr.2. CELEBRITY DREAM (12f, Red Ransom, Last Tycoon). 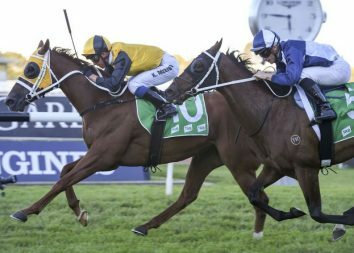 11 wins from 1000m to 1800m to 2018-19, A$618,550, Perth Racing La Trice Classic, Gr.3, WATC Jungle Mist Classic, L, Starstruck Classic, L, Jungle Dawn Classic, L-twice, Perth Racing Sheila Gwynne Classic, L, WATC Amelia Park 3YO P., Pinjarra RC Pearl Classic H., WATC Glenroy Chaff H., 2d Perth Racing Jungle Mist Classic, L, WATC C Turnbull Six-O Birthday H., Kai Construction H., 3d WATC RS Crawford S., L, Heineken 3 H., Australian Reliance H., 4th Perth Racing Starstruck Classic, L, Cyril Flower H., L, WATC Summer Scorcher H., L, Bunbury S., L.
SPEEDY GREY - FIFTY FIFTY (H.K.) (12g, D'Cash, Paris House). 5 wins from 1200m to 1600m to 2017-18, NZ$4,375, HK$10,281,250, HKJC Chinese Club Challenge Cup, Gr.3, Chevalier Cup, Yeung Uk H., Drake H., 2d HKJC Stewards' Cup, Gr.1, Premier Bowl H., Gr.2, Medic Kingdom H., 3d HKJC Queen's Silver Jubilee Cup, Gr.1, Elizabeth Arden H., 4th HKJC Centenary Sprint Cup, Gr.1. GLAMOROUS GIRL (05f, Unbridled's Song, Military Plume). 2 wins at 1400m, 1600m, NZ$130,025, WRC Desert Gold S., Gr.3, 2d Waikato RC Sir Tristram Fillies Classic, Gr.2, ARC Soliloquy S., L, Cowboys & Indians 3YO H., 3d ARC Alister Simpson Equine Artist H., 4th Hawkes Bay Gold Trail S., Gr.3. DEBT COLLECTOR (12g, In the Wings, Last Tycoon). Horse of the Year, Champion 3YO & Miler in Singapore in 2016.12 wins from 1400m to 1800m to 2019, S$3,094,847, Singapore TC Queen Elizabeth II Cup, L, Chairman's Trophy, L, Singapore 3YO Classic, L, Kranji Mile, L, Raffles Cup, L-twice, Jumbo Jet Trophy, L, Singapore Guineas, L, Canada Cup, Class 1 H., Class 4 H., 2d Singapore TC Jumbo Jet Trophy, L-twice, 3d Singapore TC Kranji Mile, L, Open S., 4th Singapore TC Stewards' Cup, L.
THORN PRINCE (08g, Shinko King, Nassipour). 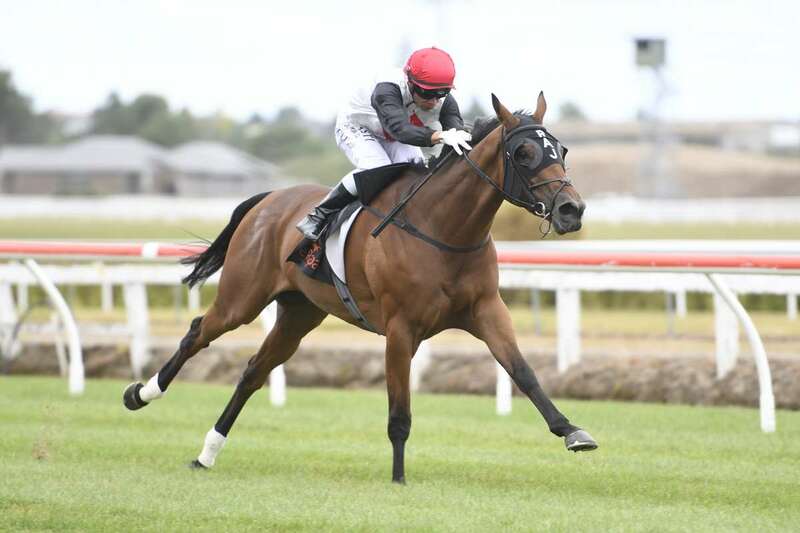 9 wins from 1400m to 2500m, NZ$176,700, Taumarunui Gold Cup, L, Manawatu RC Courtesy Ford H., WRC Graphic Cup, 2d Marton JC Metric Mile, Gr.3, Feilding JC Anzac H., L, Wanganui JC Challenge S., L, Feilding Gold Cup, L, WRC Mills Reef Winery H., Wanganui JC Foxton Cup, 3d Wanganui JC Challenge S., L, Taumarunui Gold Cup, L, Levin RC Trackside Villas H.
KONTIKI PARK (05g, Octagonal, Kingdom Bay). 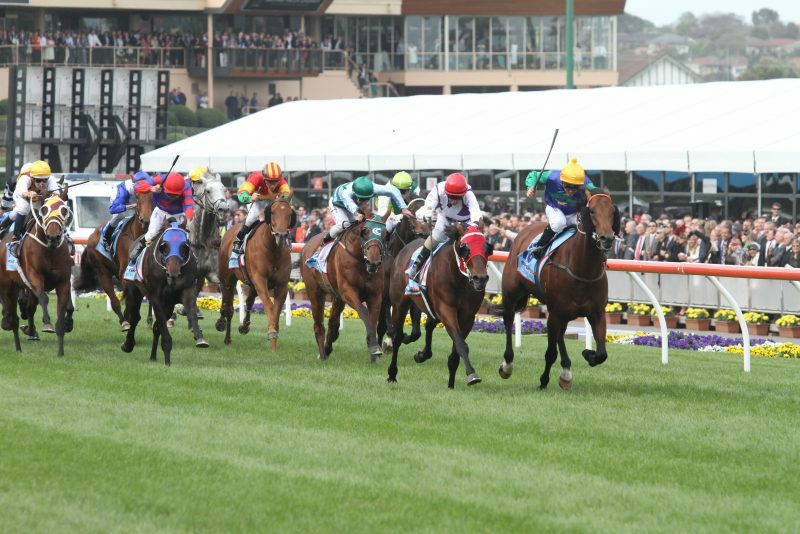 8 wins from 1400m to 1800m, A$577,725, BRC Bernborough H., L, GCTC Magic Millions Stayers Cup, ATC Clubsnsw Spring Preview H., Warwick Farm 100 Club H., AJC TAB Quaddie Jackpot H., Centennial Park H., 2d ATC Villiers S., Gr.2, NSW Tatt's RC Tramway H., Gr.3, City Tattersalls Club Cup, L, ATC Woodford Reserve H., Wilson Asset Management H., Marsdens Law Group H., AJC Clovelly H., STC Theraces.com.au H., 3d ATC De Bortoli Wines Welter H., STC Kidney Kar Rally H.
ZABBADAK - BEST OF LUCK (MAC.) (10g, Stark South, Avon Valley). 7 wins to 1500m to 2017-18, Macau Hong Kong Trophy, L, Macau Sand Specialist S., Japan Racing Association Trophy H., Race Horse Owners Association Charity Trophy, 2d Macau Spring Trophy, L, Blackpool H., Dallas H., Auxerre H., 3d Macau Oceanus Cup, 4th Macau Star of the Sand S., L.
SAIGON TEA (09f, Daggers Drawn, Sackford). 7 wins from 1400m to 2400m, NZ$9,450, A$337,960, ATC Christmas Cup, L, Horsepower Feeds & Supplements H., TAB Rewards H., TAB Early Quaddie H., Warwick Farm H., 2d VRC Swisse Wellness Trophy H., ATC TAB Rewards H.-twice, Alpha Flight Services H., Hyland Race Colours H., 3d ATC So You Think Yearlings P., Drummond Golf H., Theraces.com.au H., Hyland Race Colours H.
ALBERTON PARK (06f, Stylish Century, Adios II). 7 wins to 1350m, A$399,700, ATC June S., L, BRC Lot 573 at Magic Millions H., ATC Australian Turf Club H., BRC Strategic Airlines P., Montrose Access Ownit Homes H., Events P., Mimiki Foundation H., 2d ATC Triscay S., L, BRC Bright Shadow H., L, Ormiston College H., Race-Tech Australia H., QTC Mothers Day-The Sky Restaurant 2YO H., BRC Brisbane Town P., Winning Edge Racing Merchandise H., Hardy Brothers P., Starlight Stampede P., Girls Day Out H., CRC H., 3d ATC Wenona Girl H., L, Nivison S., L, BRC Ormiston College Quality H., Bollinger H., 4th ATC Breeders Classic, Gr.2. LADY LE FAY (10f, Zabeel, Fairy King). 6 wins from 1400m to 2100m, NZ$75,245, A$168,650, Feilding JC Anzac H., L, ATC Tommy Hill Memorial H., BOP RC Gilmours Tauranga H., Matamata RC Comag H., Te Aroha JC Plumbing & Drainage Ltd H., 2d ATC Angst S., Gr.3, Lord Mayor's Cup, L, 3d ATC AMWU National H., City Tatt's RC Bartier Perry Lawyers H., Waikato RC Christmas at the Races H., 4th ATC Queen of the Turf S., Gr.1. SPIETH (12c, Titus Livius, Polish Precedent). 5 wins at 1100m, 1200m, A$626,600, City Tatt's RC Lightning H., L, VRC Goulburn Murray H., ATC Merman & Sydeston H., Pakenham RC Burdens Plumbtec P., 2d VRC Darley Classic, Gr.1, Lightning S., Gr.1, NSW Tatt's RC Concorde S., Gr.3, MRC Grand Hotel Frankston H.
BONNIE MAC (07f, Gold Brose, Iades). 5 wins to 1400m, NZ$15,750, A$147,770, SAJC Proud Miss S., L, MRC Louise Cooper P., WRC Stella Artois H., 4th MVRC Australia S., Gr.2, SAJC Proud Miss S., L.
MAGIC BRIAR (07f, Danske, Adios II). 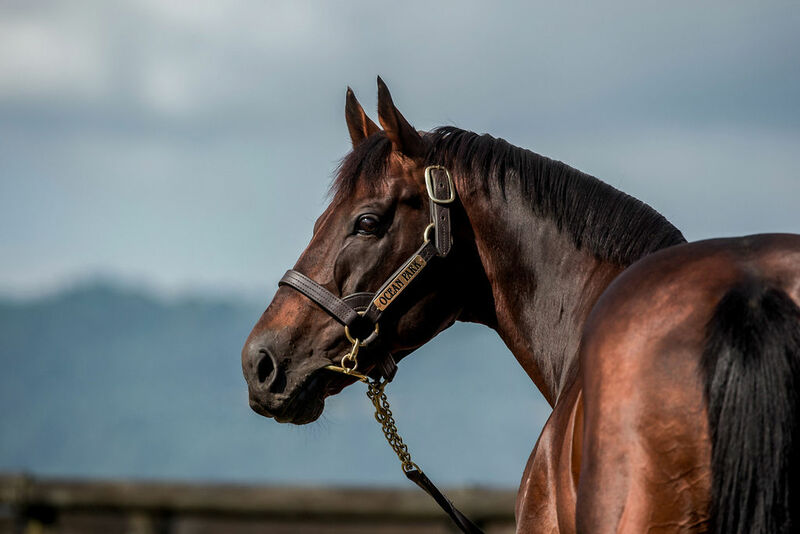 5 wins-1 at 2-at 1000m, 1200m, NZ$81,975, ARC Mr Tiz Trophy, L, Waikato RC Brown Pennell H., Marilyn Kent Memorial 2YO H., Matamata RC Rich Hill 3YO H., 2d ARC Speight's H., 3d Cambridge JC Maneline Cambridge H.
PRICKED - ALBATROSS (H.K.) (05c, Magic Ring, Luskin Star). 3 wins-1 at 2-to 1450m, A$83,093, SAJC HC Nitschke S., L, MRC Kenvain H., 3d MRC Hussonet H.
HOLLOWS (06g, Quest for Fame, Marauding). 2 wins at 2, WRC Wellesley S., L, Levin RC 95.1 More FM 2YO S.
SWISS ROSE (06f, Royal Academy, Christmas Tree). 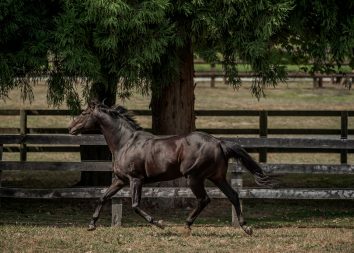 2 wins at 1200m, A$133,500, BRC Mode S., L, 2d QTC Springwood AFL Football Club 2YO H., 3d Qld Tatt's RC WJ Healy S., Gr.3, Tattersall's Classic, L, GCTC Silk Stocking H., L, BRC Elder Consulting H., 4th BRC Juanmo S., L.
(Our) Touche (10g, Pins, Centaine). 7 wins-1 at 2-to 1200m, NZ$141,325, 106,125Rgt., S$66,303, Otaki Maori RC Cavallo Agistment H., Singapore TC Kranji D S., Class 4 H., 2d Matamata RC Slipper S., L, Manawatu RC Agriseeds H., New Zealand Bloodstock 2YO H., ARC Countdown Karaka Million 2YO H., 3d ARC Mr Tiz Trophy, Gr.3, Karaka Million, RL, Marton JC Bell Booth Ltd S., Manawatu RC Ashhurst Pohangina Cup, Singapore TC Stepitup S., 4th ARC Karaka Mile, RL, WRC Wellesley S., L.
His sire sons include Jimmy Choux, Ocean Park, Thorn Dancer, etc. 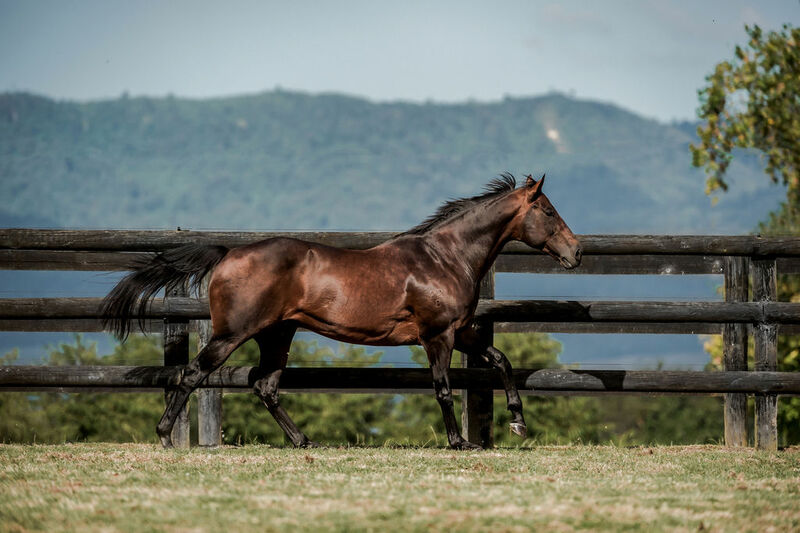 Gr.1 Hawkes Bay Makfi Challenge Stakes, 1400m, beating Group 1 winners Xanadu, Mufhasa, Guiseppina, Time Keeper, Fleur de Lune and Frtizy Boy. 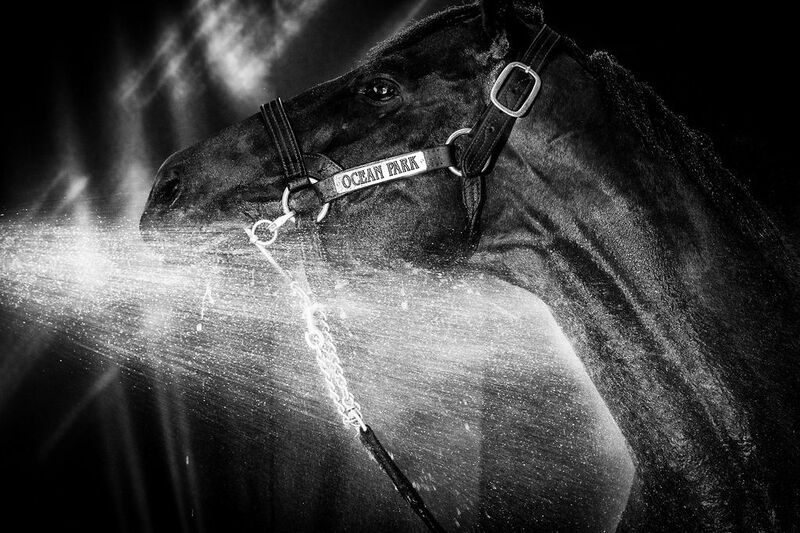 OCEAN PARK Horse of the Year in NZ in 2012-13. Champion Middle Distance Horse in AUS&NZ in 2012-13. 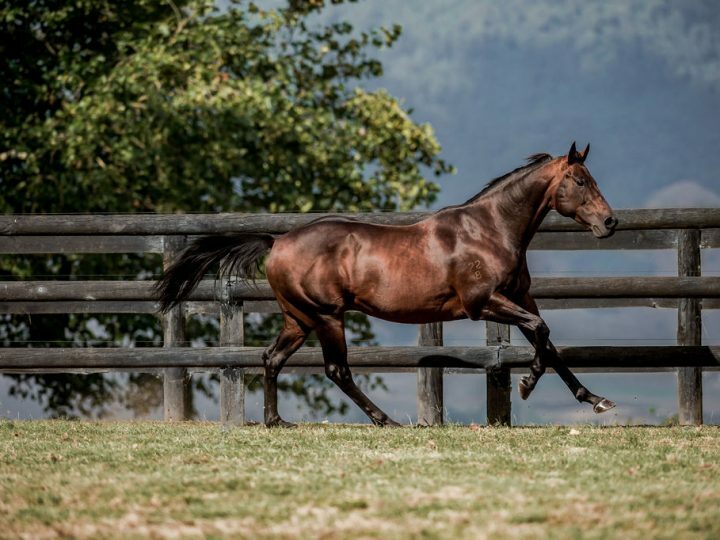 8 wins from 1200m to 2050m, NZ$343,925, A$2,529,000, MVRC WS Cox P., Gr.1, ARC New Zealand S., Gr.1, MRC Underwood S., Gr.1, Caulfield S., Gr.1, Hawkes Bay Makfi Challenge S., Gr.1, Wellington S., Gr.3, ARC Trevor Eagle Memorial 3YO H., 2d ATC Rosehill Guineas, Gr.1, ARC Great Northen Guineas, Gr.2, Waikato Guineas, Gr.3, 3d VRC LKS Mackinnon S., Gr.1, 4th Otaki Maori RC WFA S., Gr.1. He entered stud in 2013. Sire of 155 progeny to race, 86 winners (55.0%), earnings of over $5.8 million, 1 stakes winner, 10 stakes placegetters, inc. OCEAN JEWEL (14f, Danehill, Gold and Ivory). 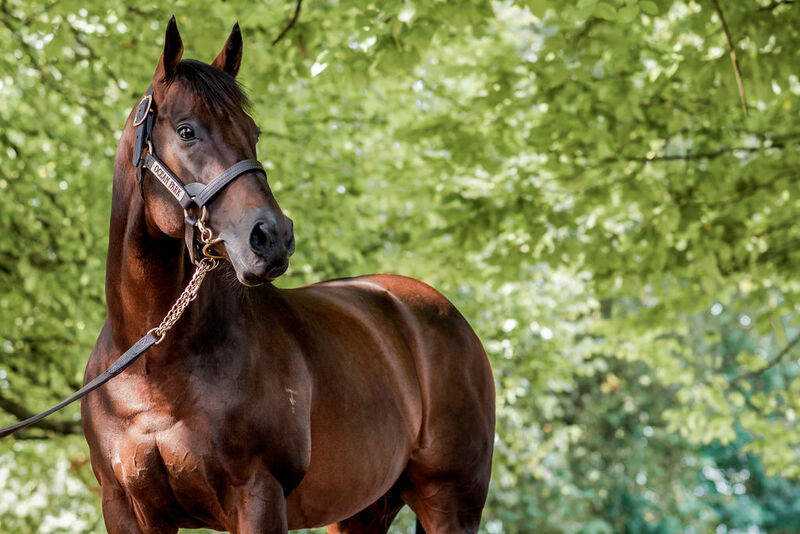 4 wins-1 at 2-at 1000m, 1200m to 2017-18, A$187,900, WATC Placid Ark S., L, Perth Racing Membership P., Bunbury 3YO Classic, WATC Ascend Sales Trophies 2YO P., 2d WATC Freshman Sires 2YO P.
Seaway (14g, One Cool Cat, Luskin Star). 5 wins to 1550m to 2018-19, A$292,425, ATC Schweppes H., Events by ATC H., Ranvet Neutrolene H., Theraces H., Pluck at Vinery H., 2d BRC Queensland Guineas, Gr.2, ATC Poitrel Hall of Fame H., APN Outdoor P., Ribchester New to Darley H.
Rondinella (14f, Red Ransom, Last Tycoon). 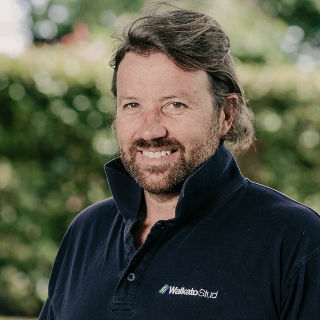 4 wins from 1400m to 2100m to 2018-19, NZ$98,235, A$235,000, Waikato RC Signature Homes H., Risk Management Group H., BOP RC Willie Vermeulen H., 2d Matamata RC Kaimai S., L, 3d ATC Tancred S., Gr.1, ARC New Zealand S., Gr.1, 4th ATC Sydney Cup, Gr.1, Waikato RC Sir Tristram Fillies Classic, Gr.2. Pretty to Sea (14f, Pins, Centaine). 3 wins at 1200m, 1600m to 2018-19, ARC Laser Te Puke H., Barfoot&Thompson H., 2d ATC Adrian Knox S., Gr.3, 3d BOP RC Laser Electrical H.
Another Dollar (14f, Pins, Centaine). 2 wins at 1300m, 1400m in 2017-18, A$256,650, Toowoomba TC AG Rigging H., 2d BRC Queensland Oaks, Gr.1, The Roses, Gr.2, Gold Coast Bracelet, L, ATC Shoot Out Mile H., BRC Hamilton Hotel P., 3d BRC Mt Franklin H.
Mongolianconqueror (14g, The Jogger, Red Lord). 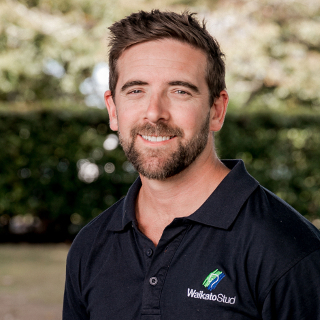 2 wins at 1400m, 1600m in 2017-18, NZ$215,875, A$26,000, 2d New Zealand Derby, Gr.1, Waikato Guineas, Gr.2, 3d Te Aroha JC Team Wealleans H., ARC 0800 Horsevets H.
Arrogant (15c, O'Reilly, Daylami). Winner at 1600m in 2018-19, NZ$68,500, A$129,000, 2d ATC Rosehill Guineas, Gr.1, Waikato Guineas, Gr.2, 4th New Zealand Derby, Gr.1. Our Hail Mary (15f, Ekraar, Shinko King). 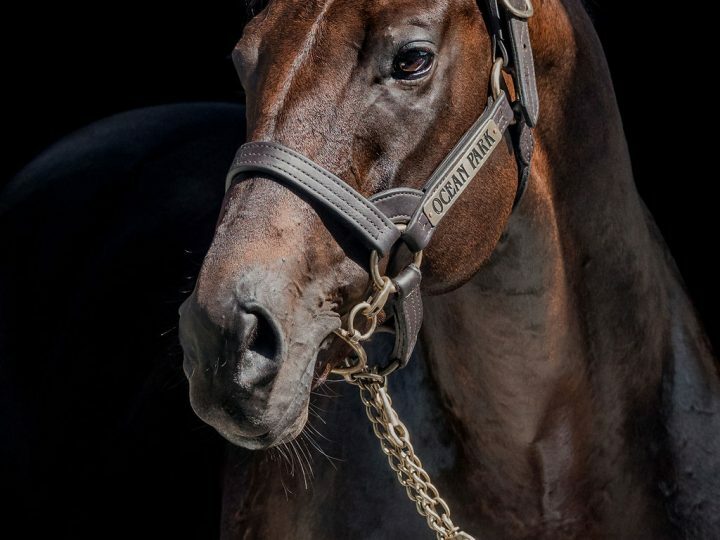 2 wins at 1100m, 1200m in 2018-19, Otaki Maori RC Cavallo Farm S., 3d CJC NZB Airfreight S., L.
Ocean's Fourteen (14c, Van Nistelrooy, Danehill). 2 wins at 1600m, 1750m in 2017-18, 2d Geelong Classic, L, MRC Ladbrokes Back Yourself H., 3d MRC Le Pine Funerals H.
Dancer's Kin (15g, Singspiel, Top Ville). 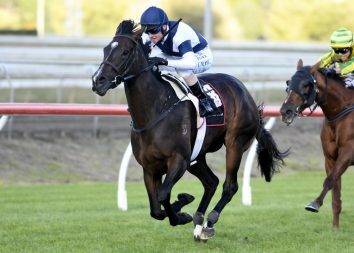 Winner at 2 in 2017-18, A$127,500, SAJC Ubet 2YO H., 2d SAJC Holdfast Insurance 2YO H., 2KW Bar&Restaurant 2YO H., Ubet H., 3d SAJC Queen Adelaide S, L, Magic Millions Adelaide 2YO Classic, Schweppes H., Syd McDonald Senior Memorial H., Ubet H.
Miss Valencia (15f, Fastnet Rock, Thunder Gulch). Winner at 2 in 2017-18, 3d CJC Warstep S., L.
Tezlah (14c, Bertolini, The Commander). 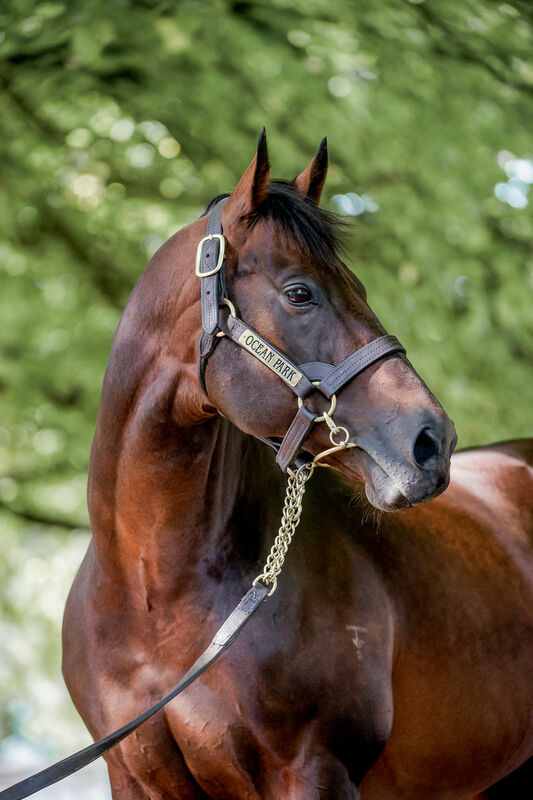 3 wins at 1200m, 1400m in 2017-18, A$161,110, Ballarat TC VOBIS Gold Eureka Stockade, MVRC 1print H., 2d MRC Catanach's Jewellers H.
Ocean Knight (15c, Iffraaj, Desert Sun). Winner at 2 in 2017-18, MRC Wellington RC 2YO H.
Beerzatbernz (14f, Flying Spur, Perugino). Winner at 2, SAJC Schweppes 2YO P.
Star of the Seas (14g, Titus Livius, Polish Precedent). 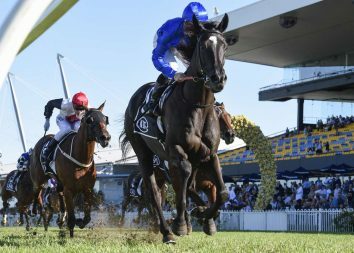 4 wins to 1400m to 2018-19, A$201,700, ATC Ribchester at Darley H., Championships on Sale H., Catanach's H., Theraces H., 2d ATC Ranvet H., Bowermans Furniture H., 3d ATC Schweppes H.
King Opie (14g, Fast 'n' Famous, Last Tycoon). 4 wins at 1200m, 1400m in 2018-19, HK$3,753,450, HKJC Corum Excellent H., Pak Tam Au H., Tai Tong H., Lung Wui H., 2d HKJC Chevalier Lifts&Escalators H., Sham Chung H., 3d HKJC Rapper Dragon H.
Clement Legend (14g, Montjeu, Pirate's Bounty). 4 wins at 2000m, 2200m in 2018-19, HK$2,079,800, HKJC Panasonic Washing Machine H., Bowrington H., Lukfook Stellar Collection H., Yau Kom Tau H., 2d HKJC Birch H., 3d HKJC Citi Priority H.
Oceanex (15f, Danasinga, Shy Rambler). 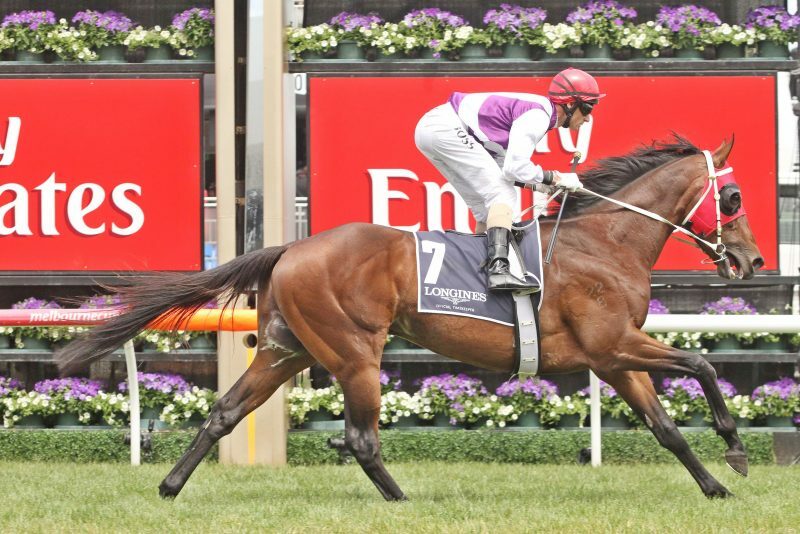 3 wins from 1600m to 2000m in 2018-19, A$151,470, VRC Flemington Event Staff H., MVRC Dean&McPherson Catering H.
Southern Lad (14g, Orientate, End Sweep). 3 wins at 1100m, 1250m to 2018-19, ATC Agency Real Estate H., Tab.com.au H., 3d ATC Heineken 3 H.
Ocean Deep (14f, Pins, Last Tycoon). 3 wins to 1450m to 2018-19, A$128,500, MRC Ladbrokes Back Yourself H., Le Pine H., 2d MRC Next Payments H., John Moule H., Ladbrokes Multiverse H., Jacqualene Hare Memorial H., 3d MRC Spicer Thoroughbreds H.
Matowi (15g, Stravinsky, Danasinga). 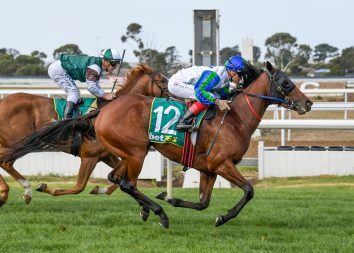 2 wins at 1250m, 1550m in 2018-19, ATC Australian Turf Club H., Theraces H., 2d ATC Tab.com.au H.
Senrima Tide (14g, Flying Spur, Nureyev). 2 wins at 1600m in 2018-19, MRC Clanbrooke Racing H.
Fictitious (14f, Defensive Play, Centaine). 2 wins at 1600m, 2300m to 2018-19, Levin RC Levin Tab&Sports Bar H., 2d Otaki Maori RC NZB Insurance Pearl Series H., Manawatu RC Creative Catering H., 3d Otaki Maori RC Vets on Riverbank. Pink Graffiti (14f, Centaine, Sound Reason). 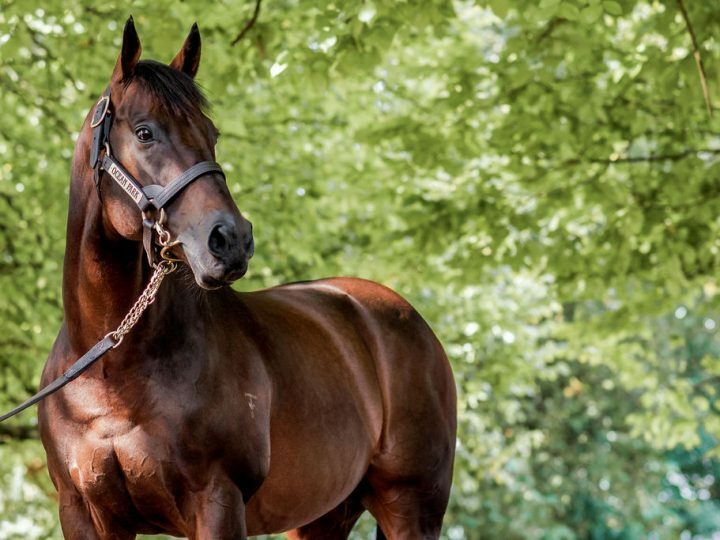 2 wins at 1200m to 2018-19, ARC Bentley's Chartered Accountant H., 3d ARC IRT H., Hawkes Bay Dan d'Esposito Memorial H.
Together (14f, Danasinga, Pompeii Court). 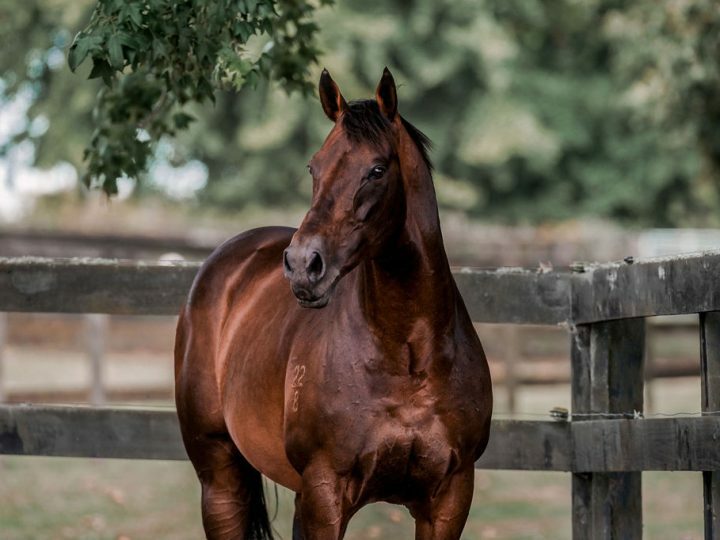 2 wins at 1300m, 1400m in 2018-19, Matamata RC The Meat Co Matamata H., 2d ARC PGG Wrightson and Vetmed H., BOP RC Team Wealleans H.
Scream Park - Confucius Day (H.K.) (14g, Viking Ruler, Christmas Tree). 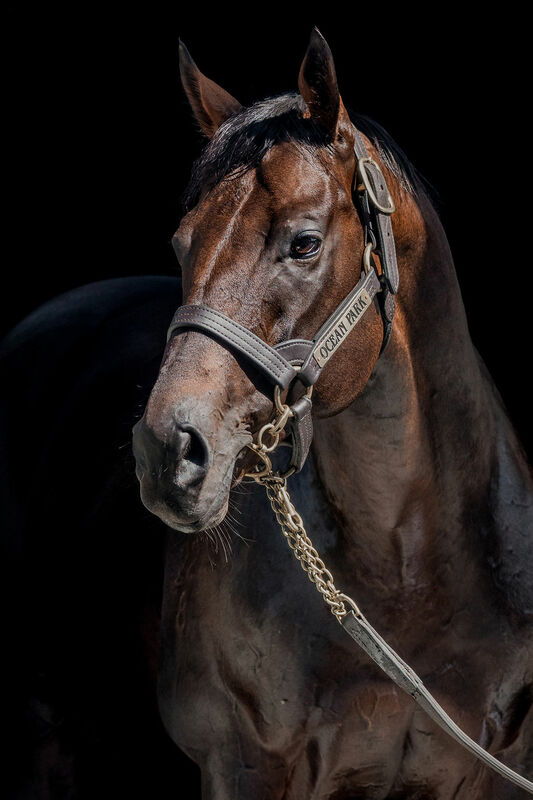 2 wins at 1400m, 1600m in 2017-18, NZ$13,000, A$95,175, HK$158,700, ATC Tab.com.au H., Casino Prince at Vinery H., 2d ATC Ribchester New to Darley H., 3d ATC Pluck at Vinery H., HKJC Kowloon Bay H.
Kolding (15g, Danzero, Semipalatinsk). 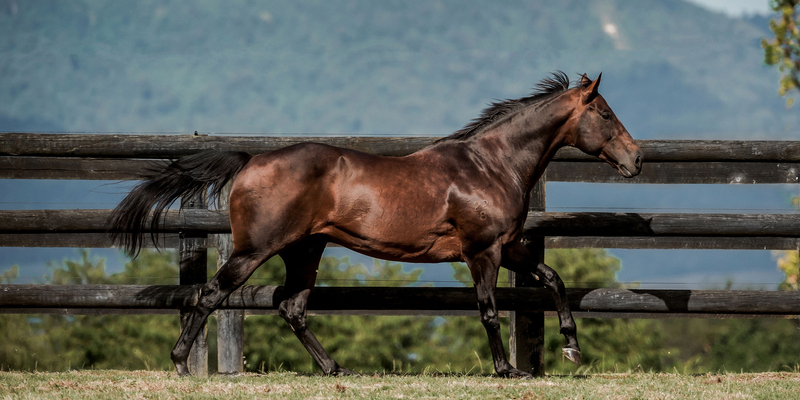 Winner at 1200m in 2018-19, ATC Events H., 2d ATC Rise Up This Autumn H., 3d ATC Australian Turf Club H., Events by ATC H., ANZ Bloodstock News H.
Lucky Win Win (14g, Spectrum, Danehill). Winner at 1650m in 2017-18, HKJC Racing Goes On H., 2d HKJC Yan On H.
Marina (14g, Keltrice, Nassipour). 3 wins from 1100m to 1600m to 2018-19, 3d SAJC Holdfast Insurance H., Palmer Hospitality Group P., Delnorth H.
Holbrook (14g, Danzighill, Honor Grades). 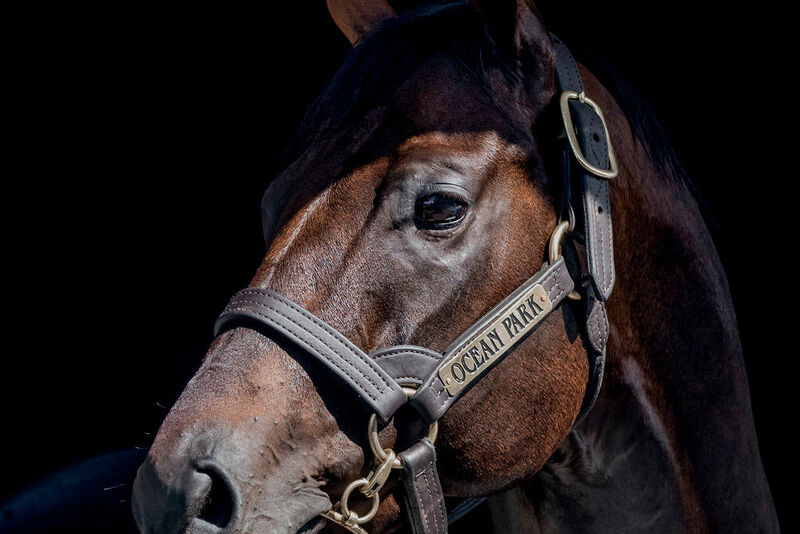 3 wins at 1800m, 2200m in 2018-19, 2d BRC Jim Beam H., 3d Ipswich TC Schweppes H.
It's been six years since Ocean Park fought bravely to run down All Too Hard to claim Gr.1 honours in one of the world's greatest races - the WS Cox Plate. 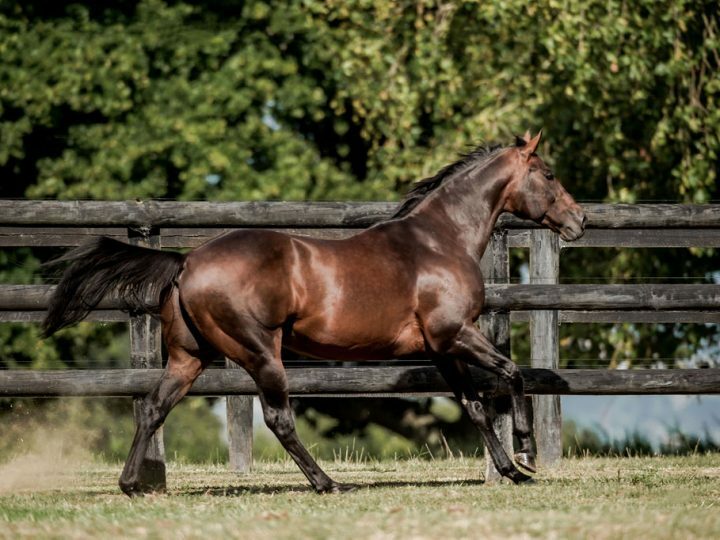 Since his retirement to Waikato Stud in 2013, the five-time Gr.1 winner has developed into a beautiful stallion and has already asserted his dominance as one of the best young stallions in Australasia.